Beginning Zentangle classes are still ongoing. Here are some pictures of my most recent classes. The next Viva Art & Vino painting class at Three Pea Consignment is scheduled for August 20. We’ll be painting Whoo Whoo The Owl. You can register here if you are interested in attending that event. Bring a bottle of wine and bring a friend to share in this special painting time with you! The Annual Chalk Festival was held at the beginning of August and we had great weather and fun! If you scroll down through the comments in the link, you’ll see that Ralph Joest, Mutual of America, picked up my house chalk painting. This was my first time participating as an artist. I’d love to do again next year and have more of you join us. It’s for a good cause and it’s wonderful to see all the art that is created. Plus there’s YOB (frozen yogurt) right in the square and makes for a great treat after a long, hot day! The Wichita Tanglers have been very busy working on Christmas ornaments that will be sold at the ZenXpressions Art Show at the end of September. The money we collect will be given to a local charity. If you haven’t submitted your application for the show, please get cracking! It’s less than two months away! Don’t worry if you don’t know what you will be entering, just complete the application to the best of your ability and get your payment in to hold your spot. Titles of the pieces can be provided later, and the artwork itself isn’t due until closer to the show. If you have any questions, don’t hesitate to call me. You can download the application instructions here, and the application for entry here. Those of you who are interested in exploring your creative side on a greater scale might consider participating in Vision Quest. If you want to create change, to invest in what you know is POSSIBLE for you, and to open up and expand the way you feel about your life, Vision Quest starts September 11. 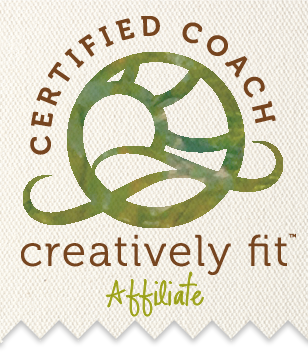 As your Creatively Fit Coach, I’ll be working right along side of you, to hold you accountable, tailor the experience to your needs and love you through the process. Everything you need to know can be found here. Botanica has requested that I return again, this time to share creating Zentangle Christmas Cards (a couple of examples are shown). The event will be held November 5th if you are interested, and is for anyone – beginners and advanced alike (21 years and older, please, as you are able to bring wine with you). Botanica has not yet posted the link for this workshop…it should appear on their events calendar soon. I think that’s plenty to keep you up-to-date on what’s happening at Emerald City Tangles Studio!